As the first ever Australian Biosphere Conference was held in Maryborough, Gympie Landcare decided to send a representative and I was the privileged person to be chosen. What a fantastic conference it was! A biosphere is the global ecological system integrating all living beings and their relationships, including their interaction with the elements of the lithosphere (crust and upper mantle of the earth), geosphere (underneath the soil), hydrosphere (oceans, rivers, lakes, etc) and atmosphere (air). The theme of conference was: We are all connected. Our excellent MC’s were Meriem Bouamrane from UNESCO and Costa Georgiadis from Gardening Australia. Many guest speakers made it soon clear that working together is the only way how we can save our planet. We heard from professors, indigenous locals, government employees, business people, graziers as well as school children what they contribute to make the Great Sandy Biosphere a place which people are proud to call their home. The Great Sandy Biosphere covers an area of 496,194 hectares from Bundaberg to Gympie (did you know you lived in a biosphere? One of only nine in Australia) and includes Fraser Island as well as a large area of ocean. It is used for a wide range of urban, industry and agriculture purposes, education services, tourism, sport and recreation and infrastructure as well as forest reserves, national conservation and marine parks. What struck me most was the emphasis on integrating people, businesses, government and schools, not setting it apart like national parks or world heritage areas. In a biosphere, businesses are encouraged to find ecological solutions to problems, schools are teaching their students how to minimise environmental negative impact, governments work with businesses to support innovative, environmentally sound practices and all people are part of this. Dale Hollis, the General Manager of Bundaberg Canegrowers Pty Ltd, explained how they were able to install solar powered irrigation with the help of the Bundaberg Council. David de Paoli had an interesting powerpoint on how he changed his father’s cane farm into a vegetable growing business and uses environmentally safe practises to be on top of his game. I was very impressed by the way sensors measure the soil moisture and adjust irrigation so there is no run-off into the ocean. Natural run-offs during storms are handled with especially planted vegetation to absorb and or filter excess water. James Schultz, is a young CEO and co-founder of GreenCollar. He is technically savvy and helps businesses come up with innovative solutions that lead to positive environmental, economic and social outcomes. Costa Georgiadis was a little human torpedo and kept us well and truly on the edge of our seats. He – and everyone else at the conference – was extremely impressed by the schools which did several presentations of their projects. From war on waste, where students of each class go around every day towards the end of their breaks and collect all food scraps to be composted, to growing vegetables, herbs and fruit on school grounds, they were coming up with more and more amazing projects. Families are supplied with compost buckets and the children bring the food scraps to school for their compost. Students now go to other schools to teach others what they have learnt. They are making beeswax food wraps and encourage students to use these instead of glad wrap. They say no to plastic bags and sew canvas bags which they decorate with environmental slogans and sell for some of their environmental programs. They encourage each other not to bring items in their lunchbox which are prepacked and/or wrapped in plastic or alfoil. These children blew you away with how well they knew their topics and how well they spoke (better than some of the presenters I might add). 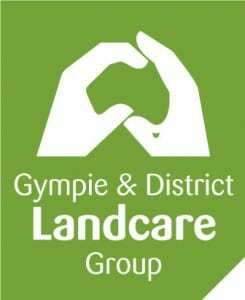 As I am also a member of the Gympie Community Garden, I really hope that Gympie & District Landcare and Gympie Community Garden together with the local schools will come up with some amazing projects – as the biosphere conference was titled: We are all connected! Thanks again, Gympie Landcare for giving me the opportunity to attend this amazing conference. I really hope that many people got inspired and will carry the seeds into the wider community. I will do my best to be one of them!